He was known as Prisoner No. 142 in jail the number given to him after receiving life imprisonment. Coincidentally this number coincides with the number of people killed by them on the day when he was arrested outside school premises while his other associates fled the crime scene.He was from a terrorist group which was opposed to this whole idea of modern education, they believed that study of religious books and scriptures were the only requisite in life and that modern day education turned a person against their religion by inculcating and inducing ideas of other religions. He was just seventeen years old when he was arrested for this heinous crime of killing innocent children and teachers. He succumbed to police pressure and admitted his crime and also revealed the name of other accused involved in the attack with him. All of them were arrested later and received life imprisonment with him. They too were of his age. They came in contact of an NGO working in jails which helped to bring mislead youth in the mainstream. Ashraf the man who lead the campaign in the jail where prisoner no. 142 and his other associates were imprisoned noticed 142's inclination towards education in spite his resistance in admitting it. He focused on him and compelled him to sit in some of his classes even after his denial. 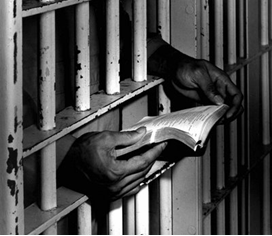 It was a poetry class for prisoners where Ashraf recited a poem. 142 was mesmerized by it. He fell in love with this art. It was like magic to his ears, so much was said in so few words beautifully.He became a regular in these classes and also started studying with other prisoners. Soon he also started writing poems and stories. He graduated in literature during his punishment period. He wrote about 100 poems during this period some of which was published in some leading newspapers and magazines with the help of Ashraf. Later when he was released from jail a leading publisher published a compilation of his poems titled 'Prisoner No. 142' which was also his pen name. Education was a foe turned friend for him which made him understand the true religion of humanity. He also realized how his bosses in that terrorist group used to preach their religion wrongly to them and made them hate education. Others who were arrested with him also completed their education and got jobs to settle in their new life. 142 became a famous poet and writer. Some directors and producers have decided to make films on his stories. He was receiving this love from the thing he used to hate. Hate seizes our ability to look for good in the things we hate. So, just don't love things you don't like but never hate them. Brilliant piece of work, Cifar. Loved the way you have written this story! Wow! Wonderfully story with a message, Cifar. wow! 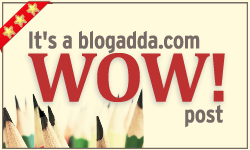 a lovely message and well written :) congrats on the wow! !